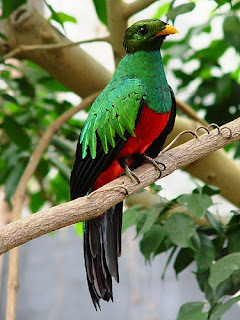 LOS TROGONES Y QUETZALES SON AVES ARBORÍCOLAS, CON PLUMAJES LAXOS, DE COLORES BRILLANTES, QUE SE DESPRENDEN CON MUCHA FACILIDAD; HABITAN EN LOS TRÓPICOS DE AMÉRICA, ÁFRICA Y ASIA. SU CARACTERÍSTICA PRINCIPAL ES LA PATA HETERODÁCTILA, QUE ES CORTA, Y SU PICO CORTO Y ASERRADO. SE ALIMENTAN PRINCIPALMENTE DE FRUTOS E INSECTOS. PECULIAR ES QUE AL MENOS DOS DE LAS AVES EN ESTE ORDEN SON AVES NACIONALES. EL QUETZAL SIENDO EL AVE NACIONAL DE GUATEMALA. Y EL OTRO HONOR LE CORRESPONDE AL TOCORORO QUE ES EL AVE NACIONAL DE CUBA. 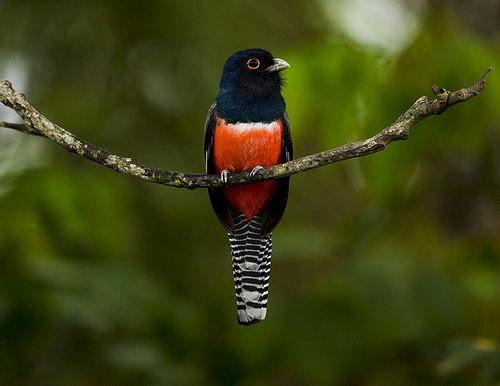 LOS TROGONES SON RESIDENTES DE LOS BOSQUES TROPICALES MUNDIALES, CON LA MAYOR DIVERSIDAD EN AMÉRICA CENTRAL Y AMÉRICA DEL SUR. SE ALIMENTAN DE INSECTOS Y FRUTOS, Y SUS PICOS ANCHOS Y PATAS DÉBILES REFLEJAN SU DIETA Y LOS HÁBITOS ARBÓREOS. AUNQUE SU VUELO ES RÁPIDO, ESTAS AVES SON RETICENTES A VOLAR CUALQUIER DISTANCIA. LOS TROGONES NO EMIGRAN. TIENEN UN PLUMAJE SUAVE, A MENUDO MUY COLORIDO, CON UN MARCADO DIMORFISMO SEXUAL. PONEN HUEVOS DE COLOR BLANCO O LIGERAMENTE PASTEL. 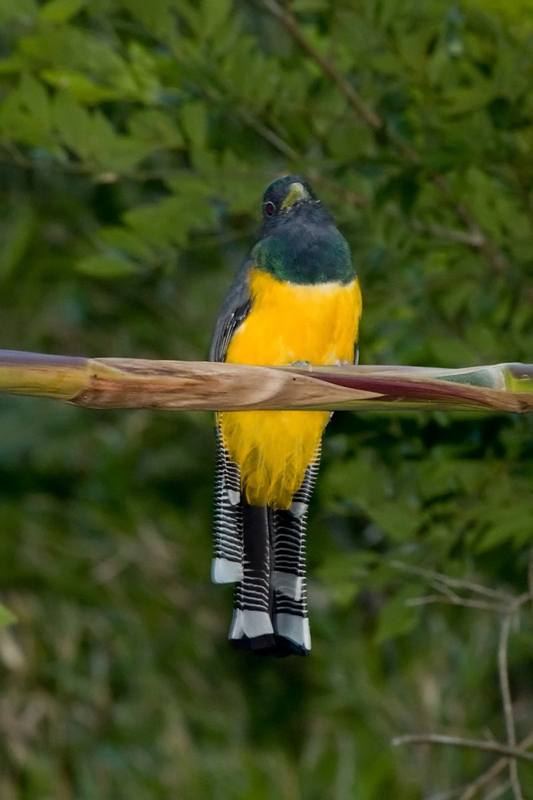 EN LA ARGENTINA ENCONTRAMOS 3 ESPECIES DE TROGONES.